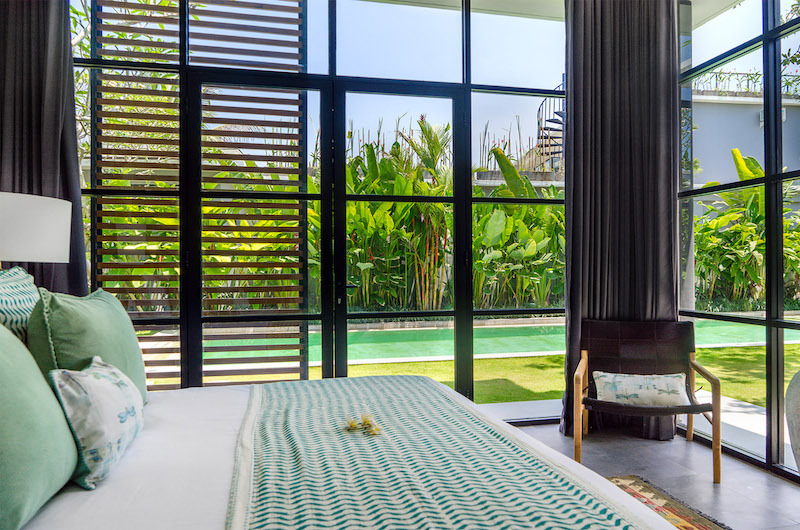 Canggu Beachside Villas is a stylish complex of three private pool villas perfectly matched by their hip-as-can-be surroundings in Canggu, Bali. 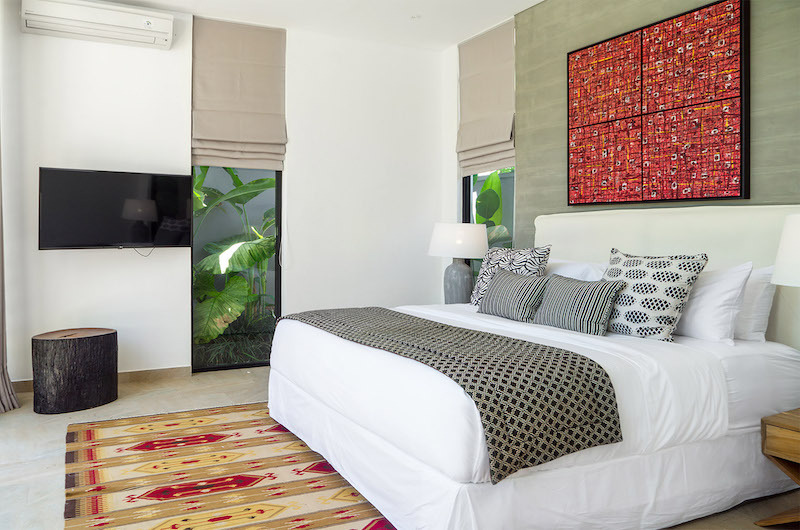 Villa Gu is a five-bedroom villa, Villa Vida has four bedrooms and Villa Boa is a three-bedroom villa. 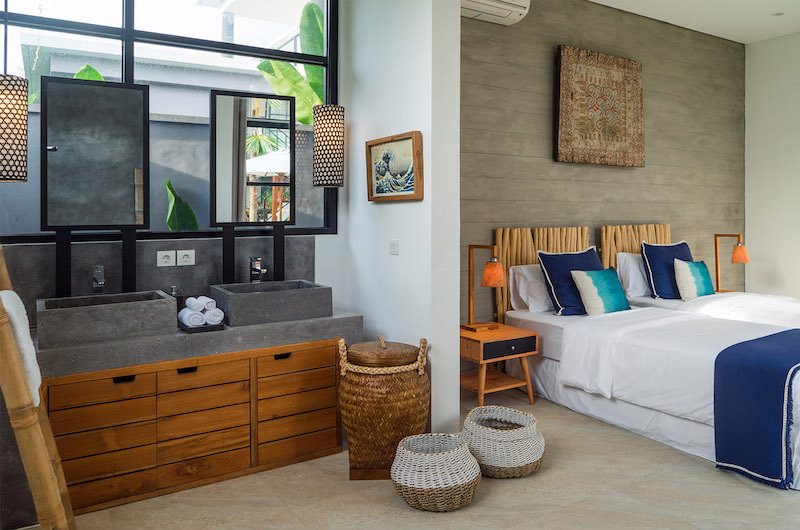 Combining sleek modern architecture with exotic interior details, Canggu Beachside Villas is the ideal holiday haven for style connoisseurs looking for a private retreat close to the beachside action. 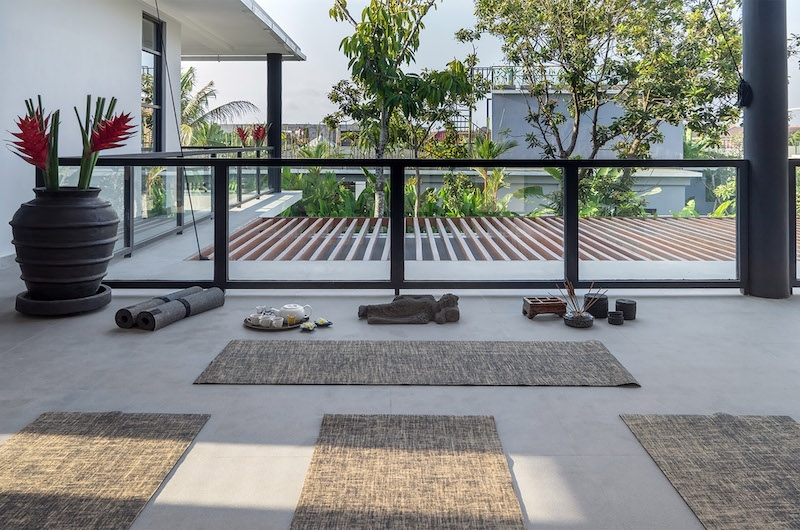 Each villa has its own rooftop terrace and offers ample space for entertaining as well as for the kids to run around in. 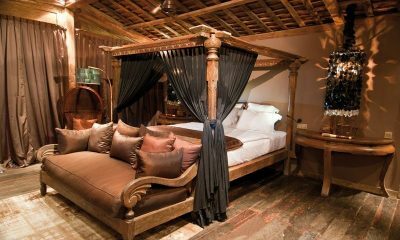 The three villas can be booked individually or together as a variety of combinations offering up to 12 bedrooms. 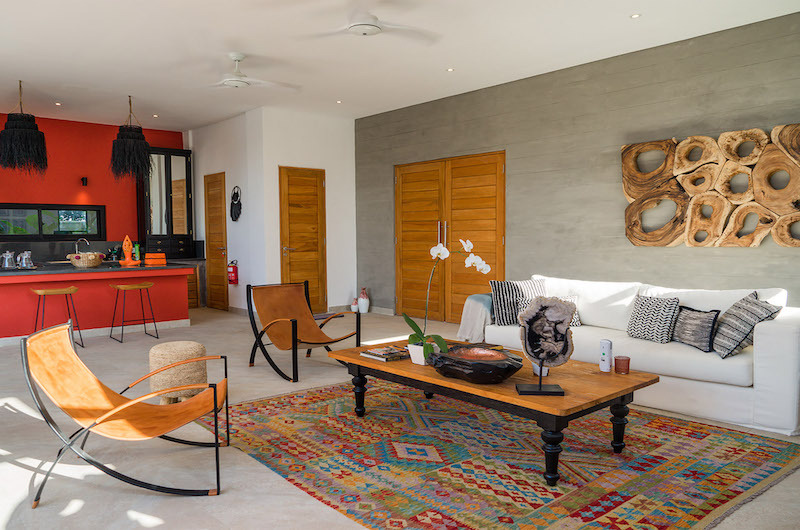 Our team stayed here – read more about our stylish stay at Villa Vida. 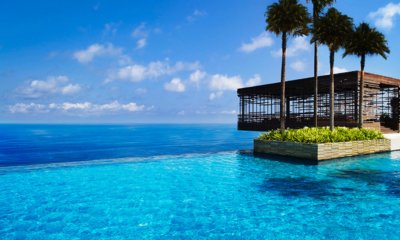 Book within 15 days before arrival and receive 10% off the standard rate. Not valid with any other promotions. Book at least 150 days prior to arrival and receive 15% off the standard rate. Not valid with any other promotions. 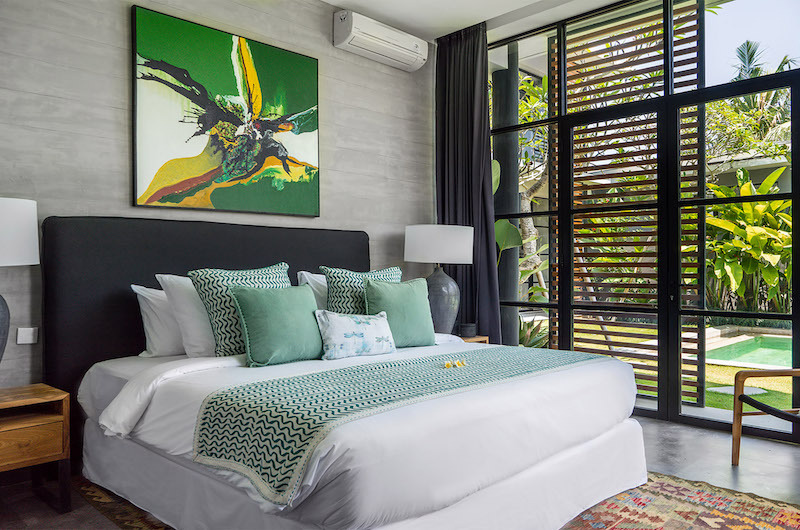 Entering Canggu Beachside Villas feels like stumbling on a glossy magazine photoshoot with edgy modern rooms beautifully styled with oriental carpets, Indonesian art pieces and full-wall windows looking out to the lush gardens. 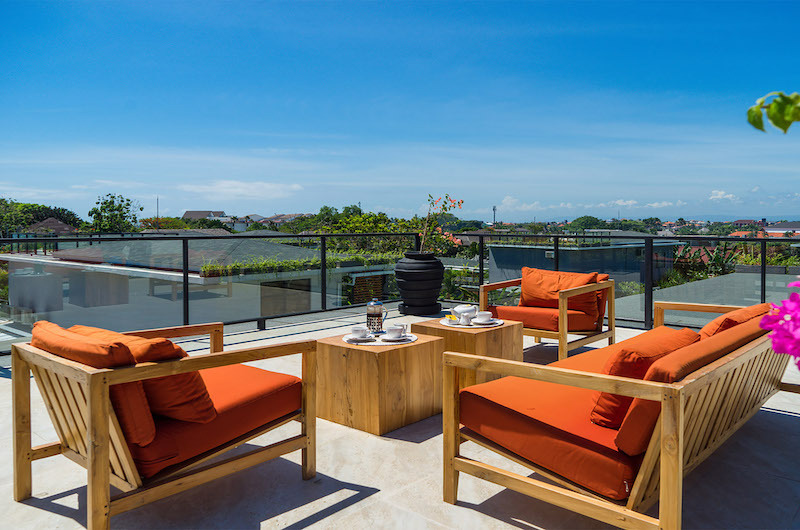 Each villa is crowned by a rooftop terrace, perfect for enjoying a round of sun downers in the hottest address in Bali. 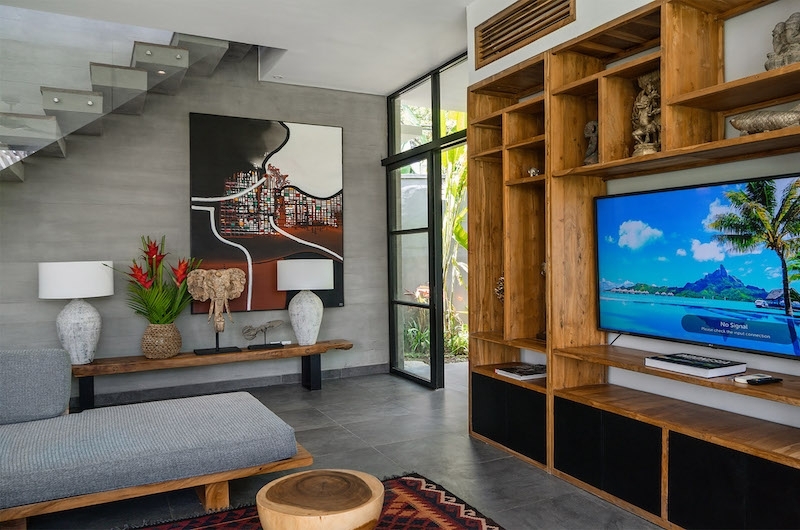 Styled with ornate carpets, plush sofas, exotic art and flatscreen TVs for in-villa entertainment, the living rooms are stylish, light-filled havens offering views of the pool and garden. 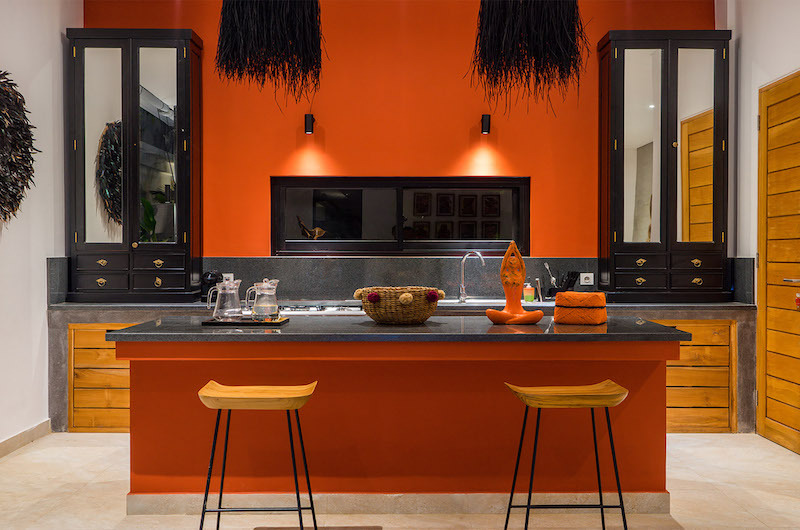 Each villa has its own private dining area and a gourmet kitchen fitted with all the essential appliances. 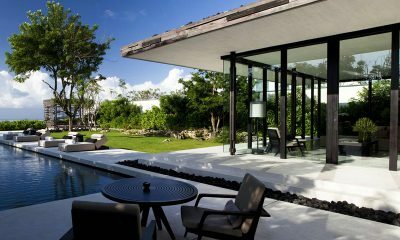 All three villas come with their own private swimming pools framed by sun beds, parasols and leafy tropical greenery. 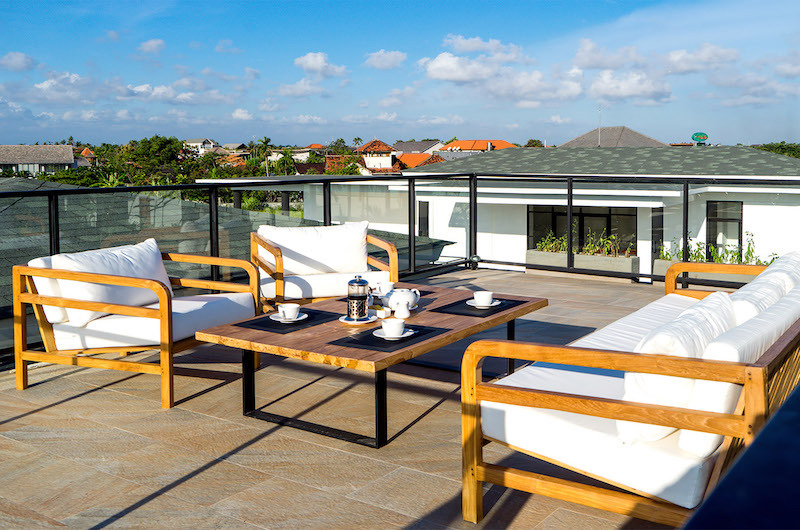 As the tropical cherry on top, each villa is crowned by a photogenic rooftop lounge with views looking out to the beach and the Indian Ocean. 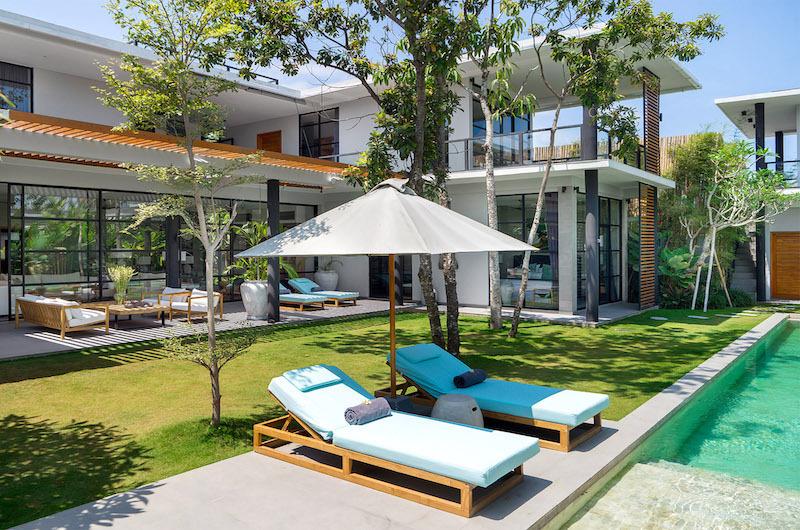 Villa Gu has five bedrooms. Three rooms have king-sized beds and two rooms have split beds which can be set up as kings or twins as needed. 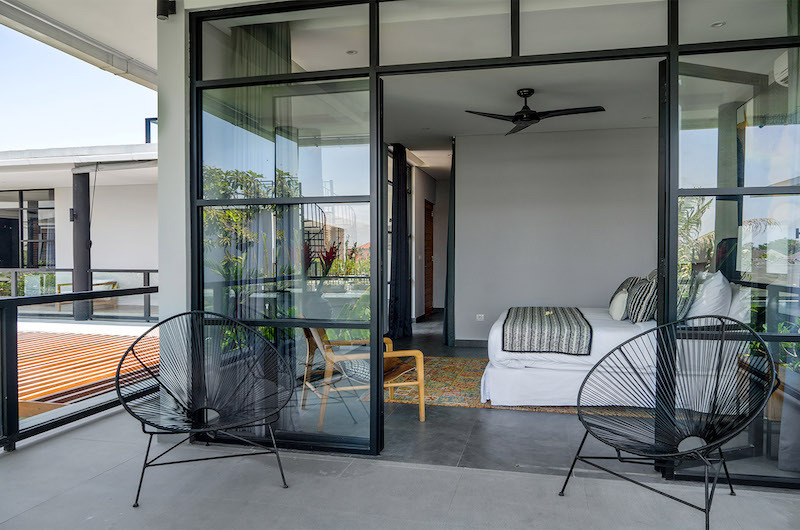 There are three bedrooms in the main house (one on the ground floor and two upstairs) and two bedrooms are located in a separate two-storey pavilion (one on the ground floor and one upstairs). 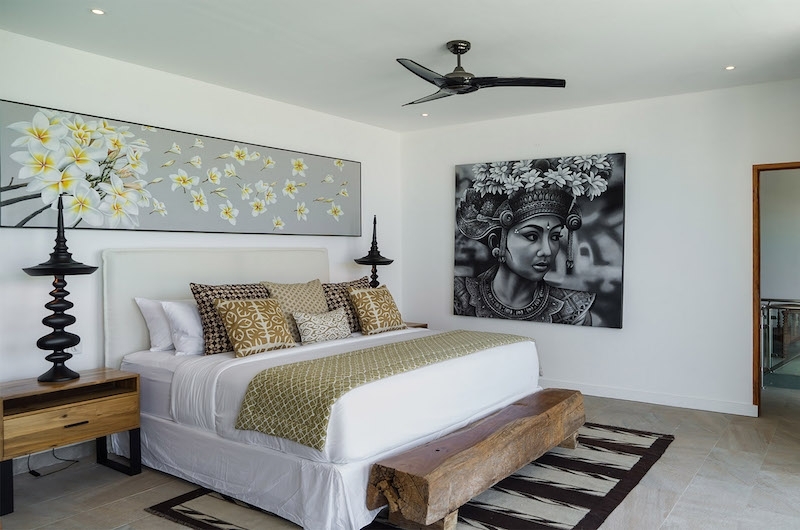 Located on the upper floor of the main house, the first bedroom features a king-sized bed, a flatscreen TV and an ensuite bathroom with a rain shower. 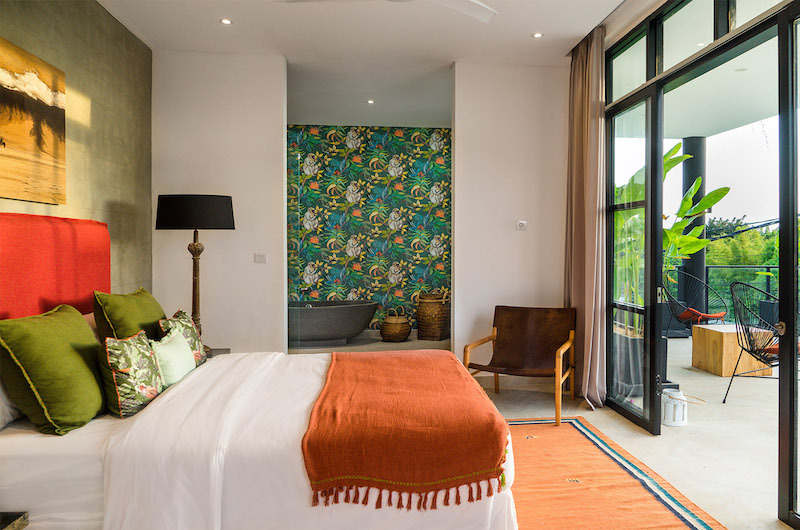 Also housed upstairs, the second bedroom features a king-sized bed, a TV and an ensuite bathroom with a rain shower. The third bedroom is located on the ground floor of the main house. 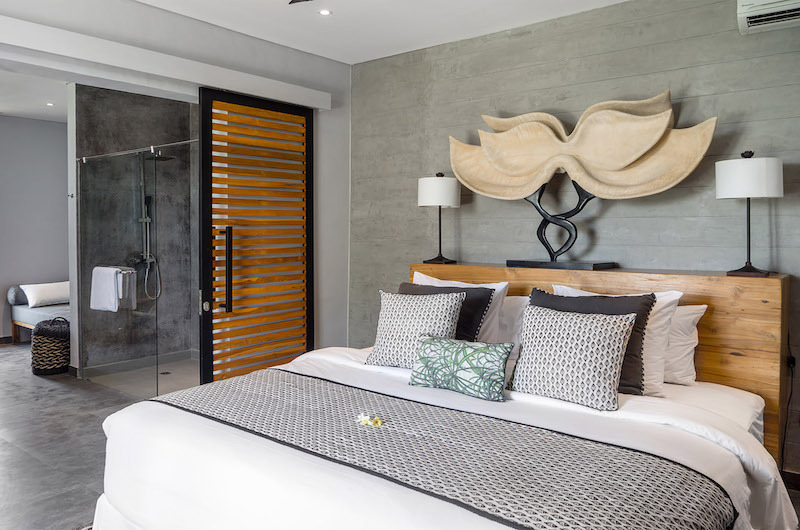 This room features a king-sized bed, a TV and an ensuite bathroom with a stone bathtub and rain shower. 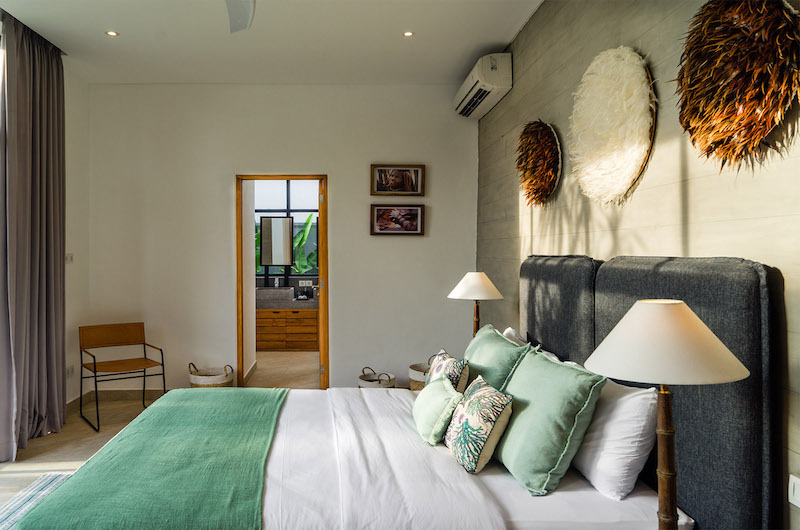 The fourth bedroom is located on the ground floor of the guest pavilion. This room has a split bed (king or two singles), a TV and an ensuite bathroom with a rain shower. 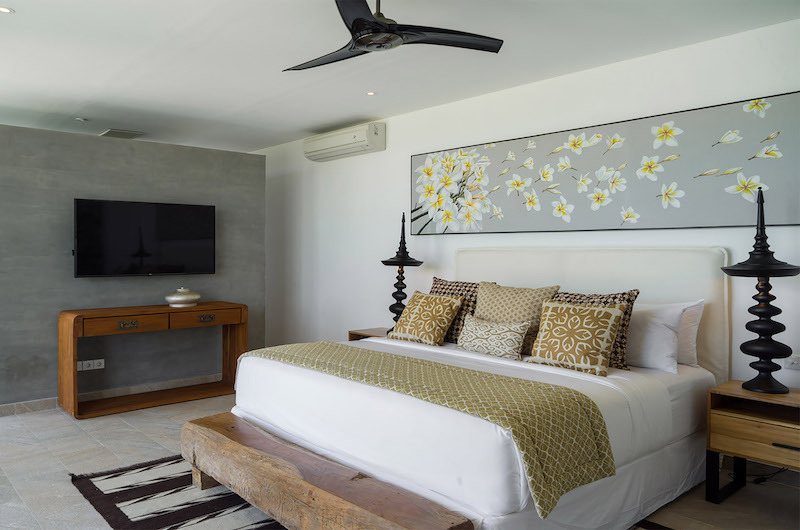 The fifth bedroom is located above bedroom 4 in the guest pavilion. This room also comes with a split bed, a TV and an ensuite bathroom with a rain shower. 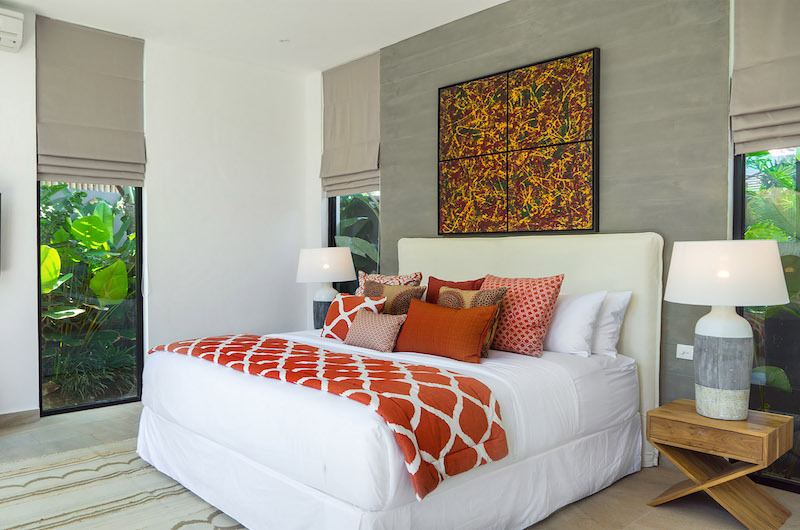 Villa Vida has four bedrooms. 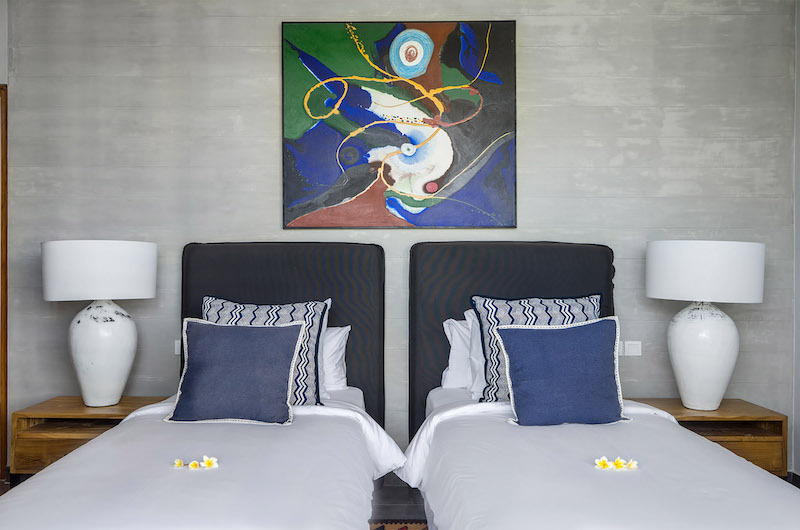 The master bedroom has a king-sized bed and the three guest bedrooms have split beds which can be set up as kings or twins. 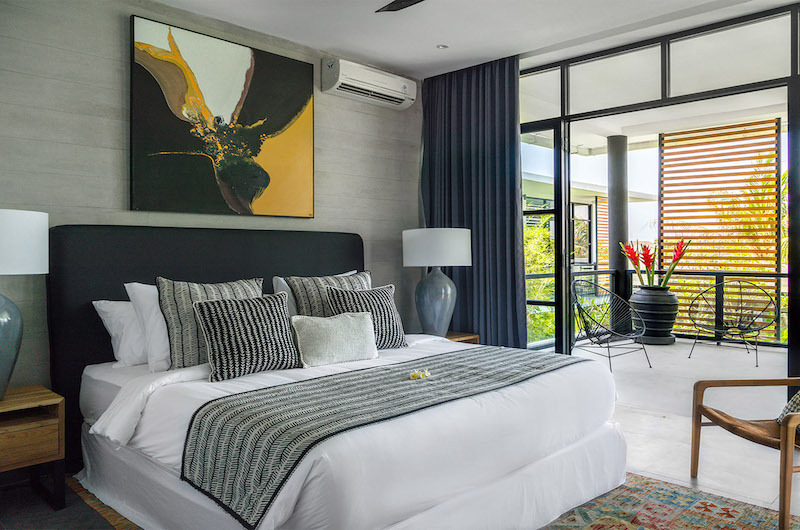 The three guest bedrooms are located on ground floor and the master bedroom is housed upstairs. The master bedroom is housed upstairs. 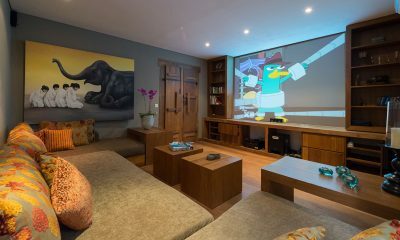 This large room is lined by full-length windows and features a king-sized bed, TV and a walk-in closet. 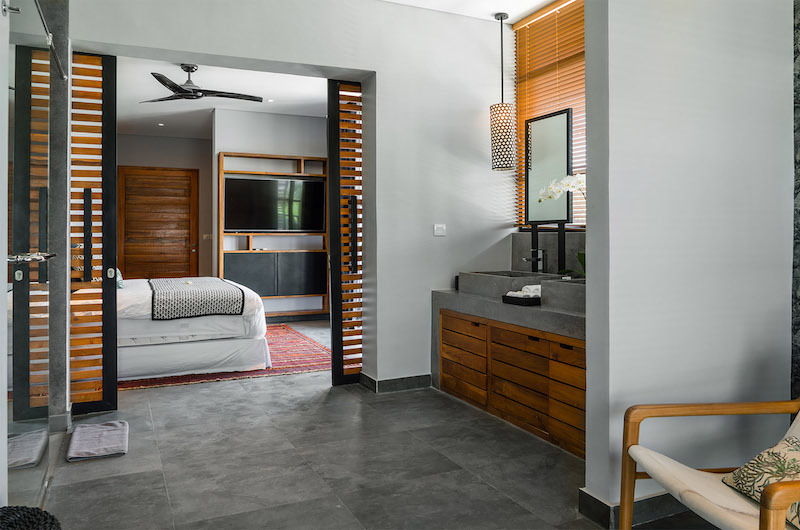 The ensuite bathroom has a double rain shower and connects fluidly to the bedroom, with no separating door in between. 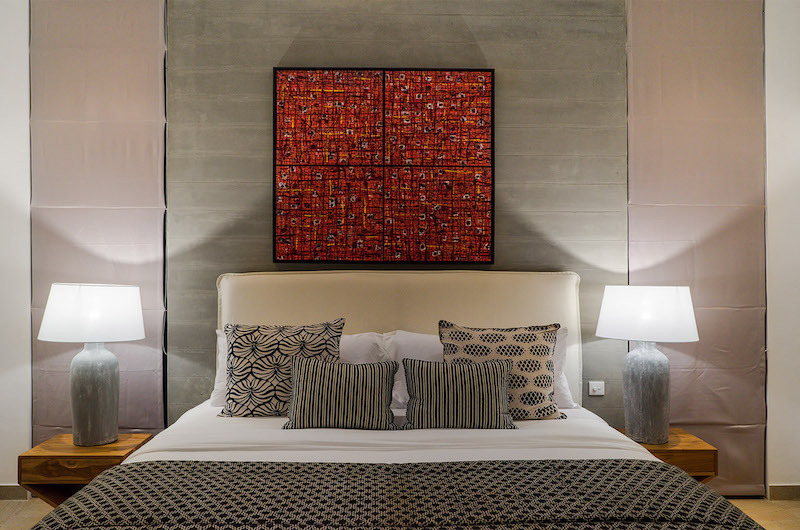 The second bedroom is one of three mirror-image guest rooms located on the ground floor. The room has a split bed, a flatscreen TV and an ensuite bathroom with a shower. 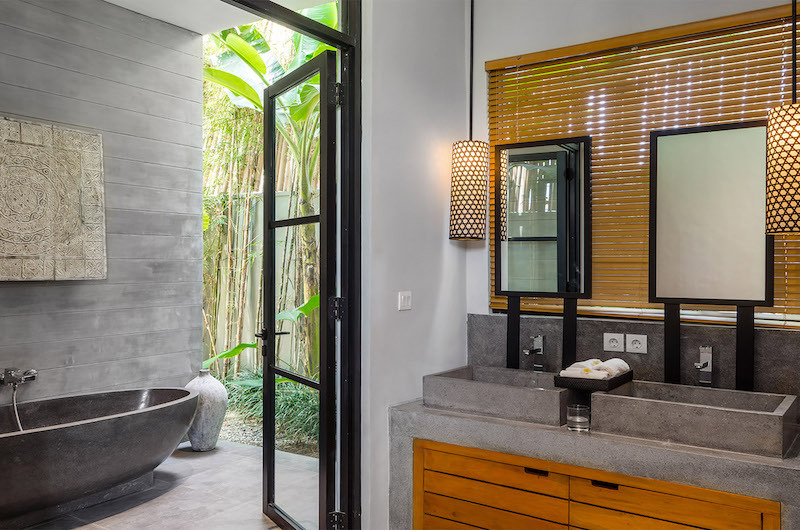 The ensuite bathroom is connected fluidly to the bedroom with no door in between. The third bedroom also has a split bed, a flatscreen TV and an ensuite bathroom with a shower. The ensuite bathroom is connected fluidly to the bedroom with no door in between. 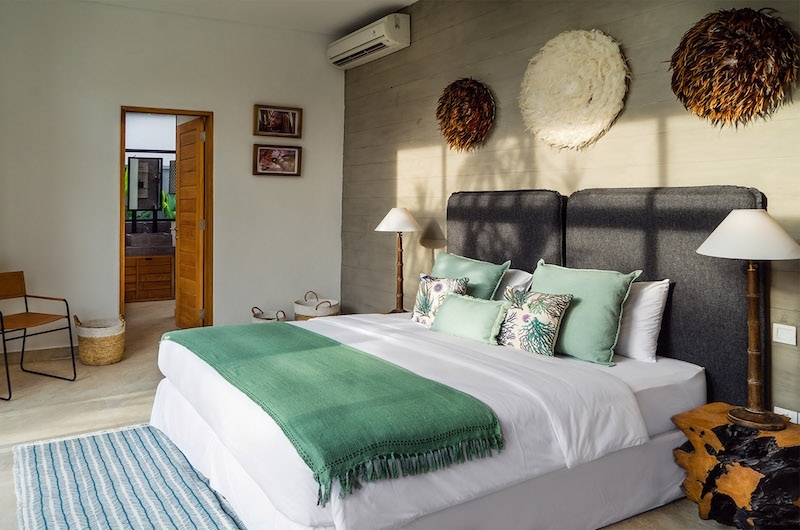 Like the other two guest rooms, the fourth bedroom also has a split bed, a flatscreen TV and an ensuite bathroom with a shower. 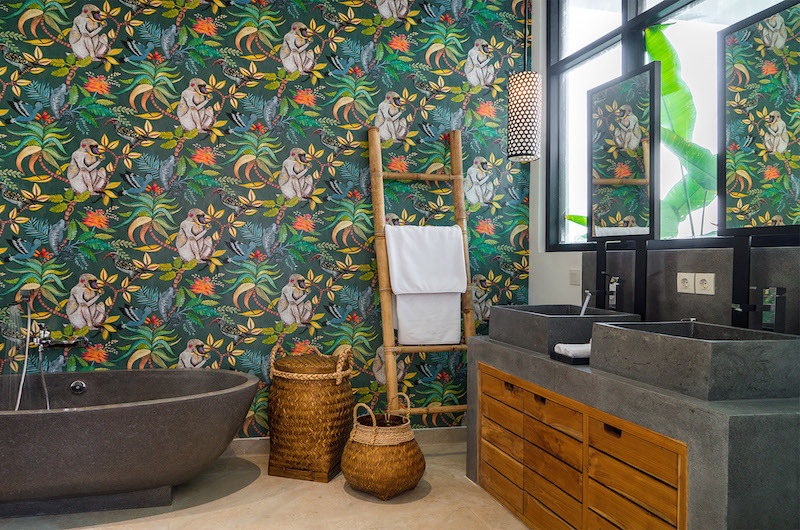 The ensuite bathroom is connected fluidly to the bedroom with no door in between. 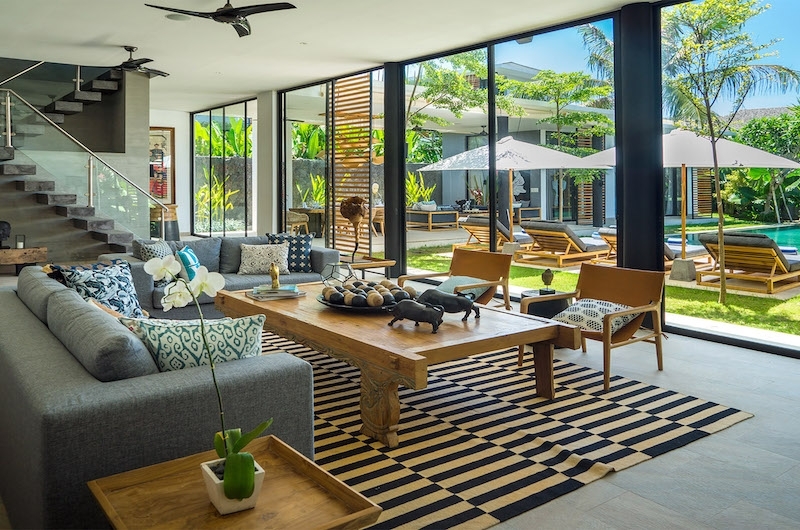 Villa Boa has three bedrooms. 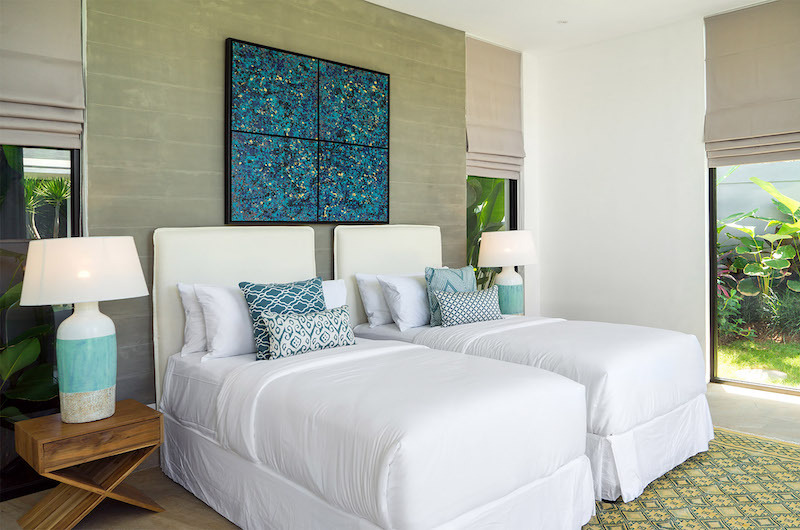 The master bedroom has a king-sized bed and the two guest bedrooms have split beds which can be set up as a king or two singles. 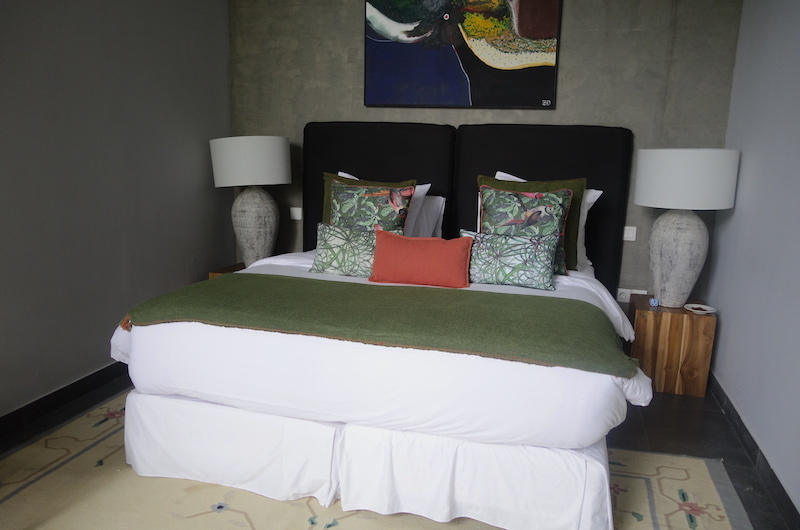 The two guest bedrooms are located on the ground floor and the master bedroom is housed upstairs. 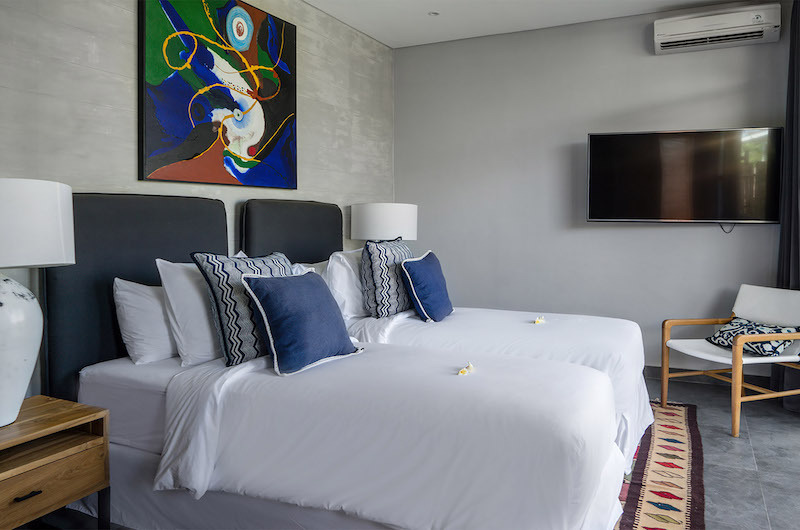 The master bedroom is located on the upper floor and features a king-sized bed, flatscreen TV and a spacious terrace. 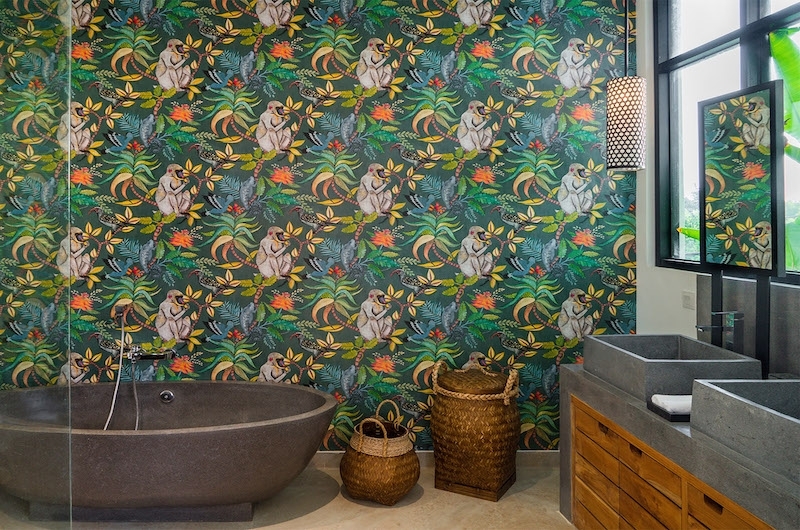 The ensuite bathroom has a stone bathtub and rain shower and connects fluidly to the bedroom with no door in between. 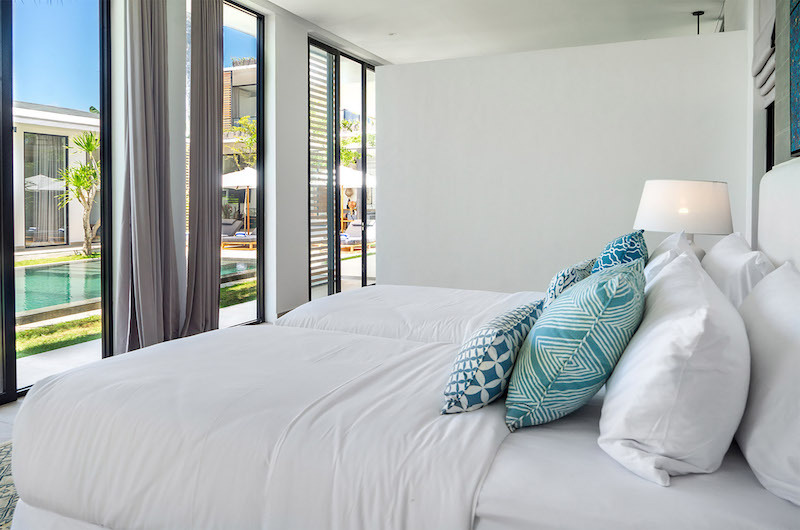 The second bedroom is one of two guest bedrooms located on the ground floor. The room has a split bed, a TV and an ensuite bathroom with a rain shower. 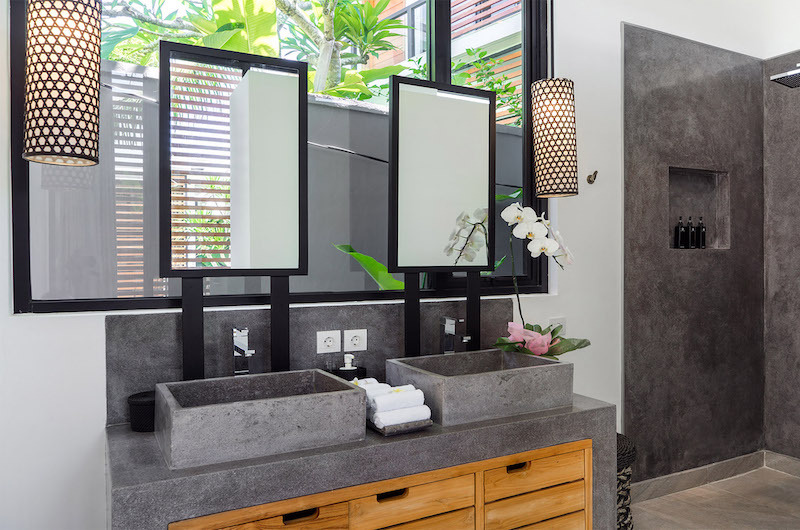 The ensuite bathroom is connected fluidly to the bedroom with no door in between. The room has a standalone toilet located next to the walk-in wardrobe. 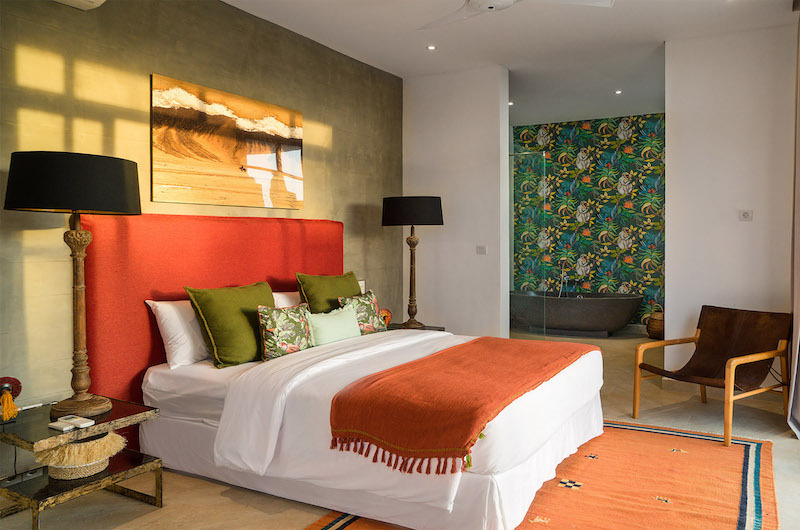 Similar to the second room, the third bedroom has a split bed, a TV and an ensuite bathroom with a rain shower. 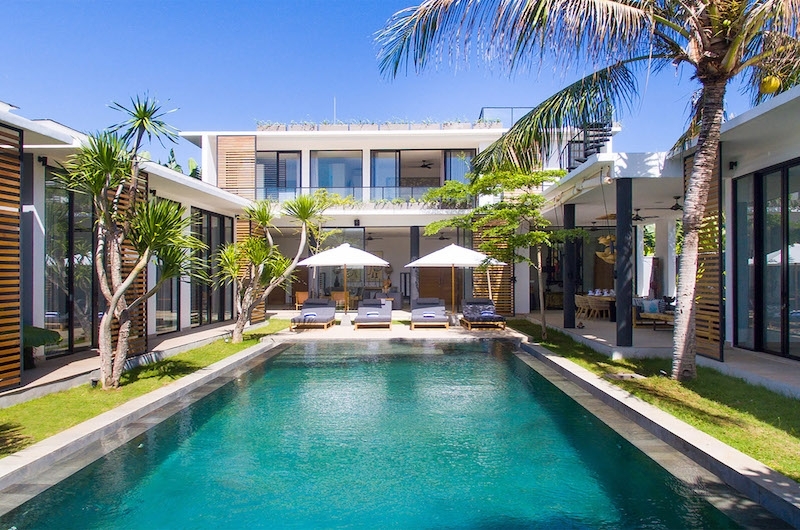 Canggu Beachside Villas is a complex of three private pool villas. 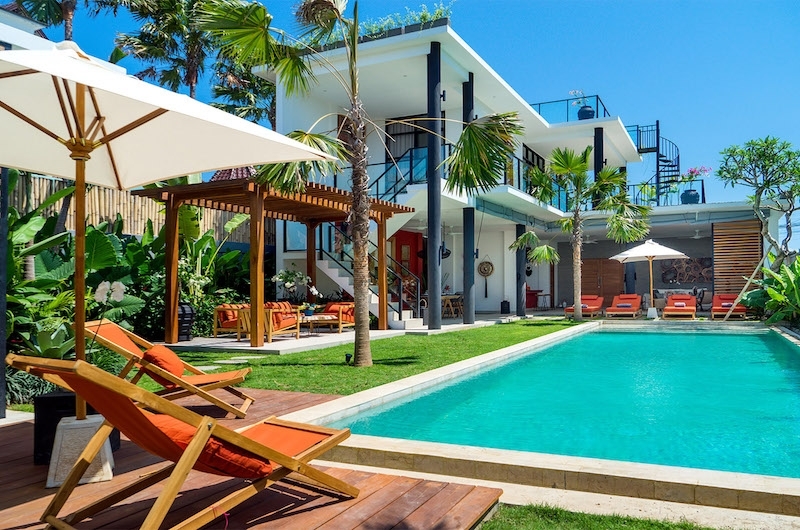 Villa Gu has five bedrooms, Villa Vida has four bedrooms and Villa Boa has three bedrooms. The three villas can be booked individually or together with up to 12 bedrooms. 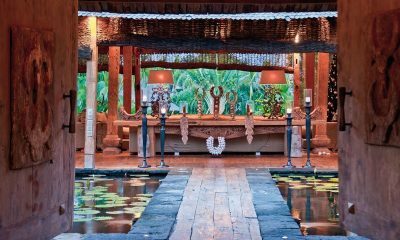 Your stay in Canggu Beachside Villas is made enjoyable by the professional staff. 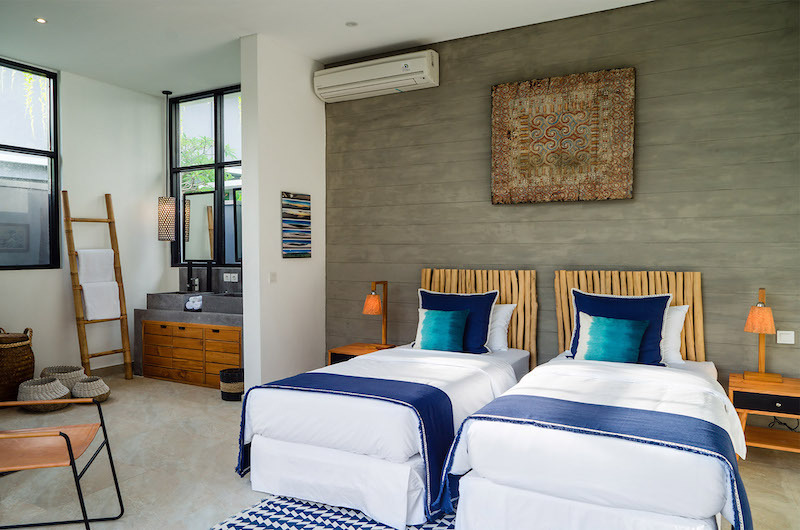 Canggu Beachside Villas’ staff have been professionally trained and will do their utmost to please with their warm and friendly Balinese hospitality. 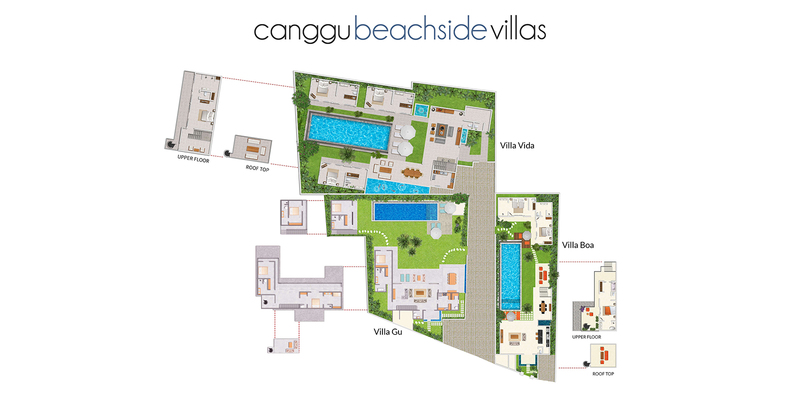 Canggu Beachside Villas’ experienced and knowledgeable manager is responsible for the overall operation of the villa. The villa manager will oversee and coordinate the staff and property and assist you during your stay. Three security guards provide 24-hour security. 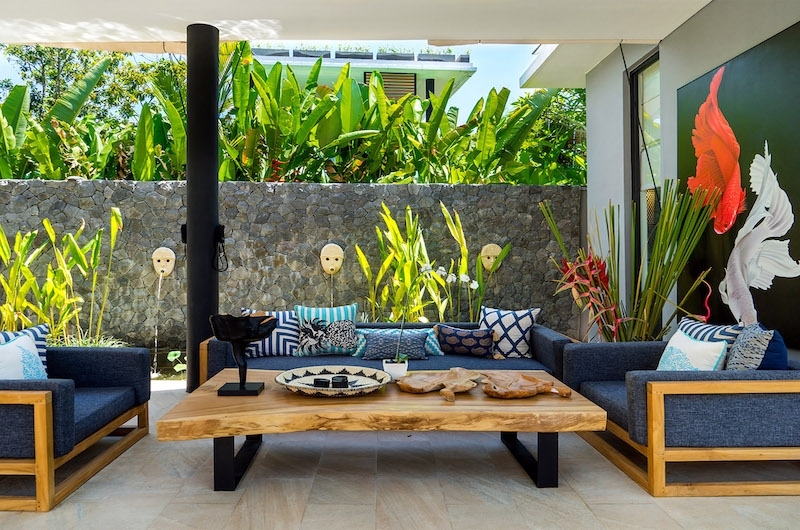 Canggu Beachside Villas is located in the hip Canggu neighbourhood in Bali, Indonesia. 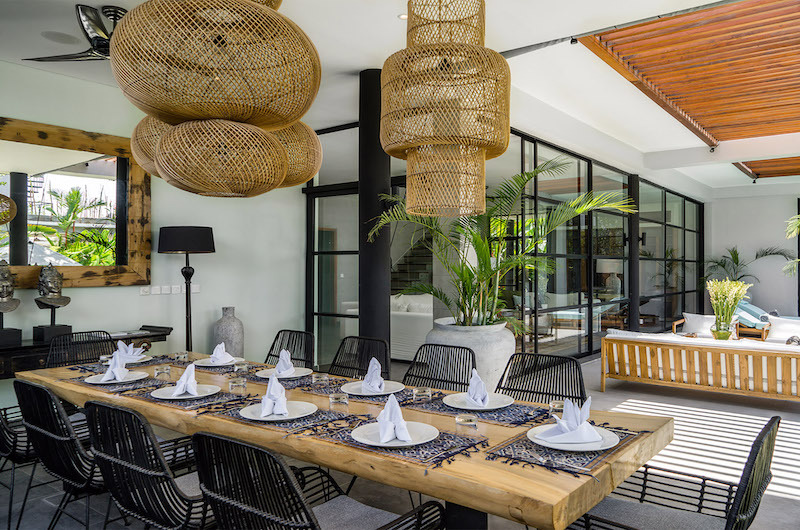 The private estate sits within a one-minute walk from the beach and on your walk over, you’ll pass by the beautifully styled La Laguna restaurant. A leisurely walk down the sand will bring you to other popular beachfront venues, including Tropicola, Finns Beach Club, Potato Head and Ku De Ta. If you’re bringing the family, the villa is also just a few minutes away from the closest supermarket and only a short drive from the waterpark, bowling alley and restaurants located at Finns Recreation Club. 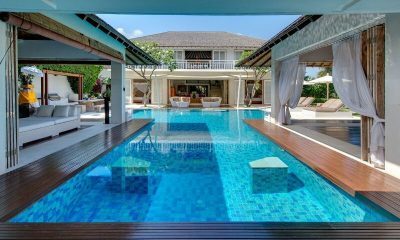 These villas are fantastic! 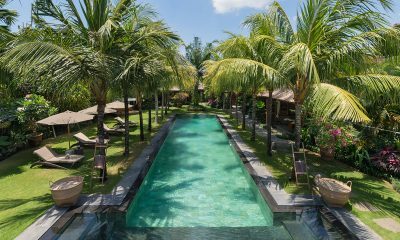 There are three villas in total which you can book individually or together with up to 12 bedrooms. 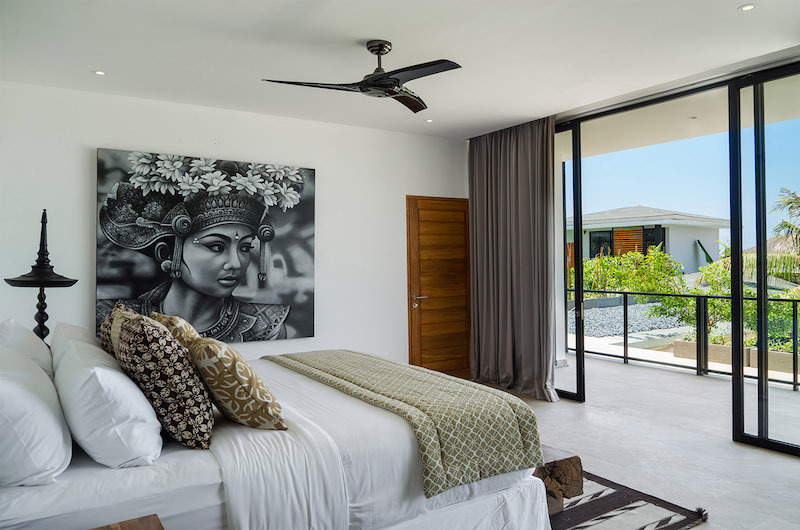 The villas all have the same contemporary look but they’re all unique – there’s art and whimsical touches in all of them. We were 8 people staying in the four-bedroom Villa Vida and the staff couldn’t have been more kind. They offered us welcome drinks, did turndown service in all the rooms and served breakfast right on time. 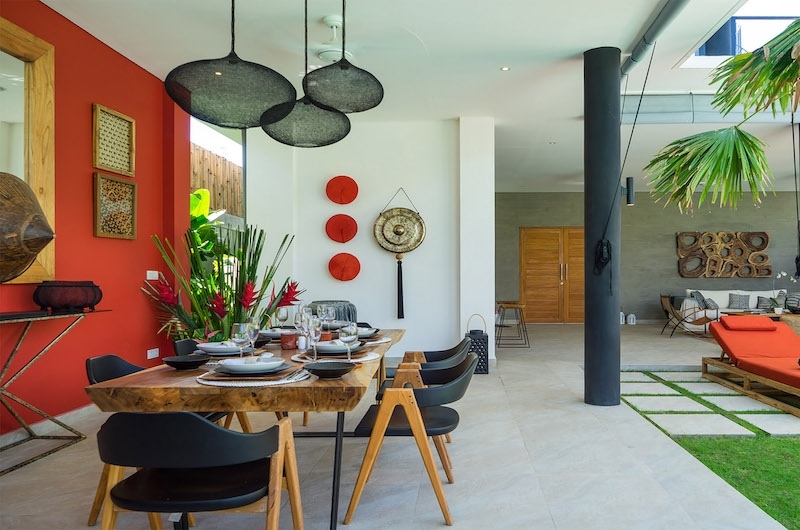 The location is pretty great too – you can literally walk over to La Laguna! 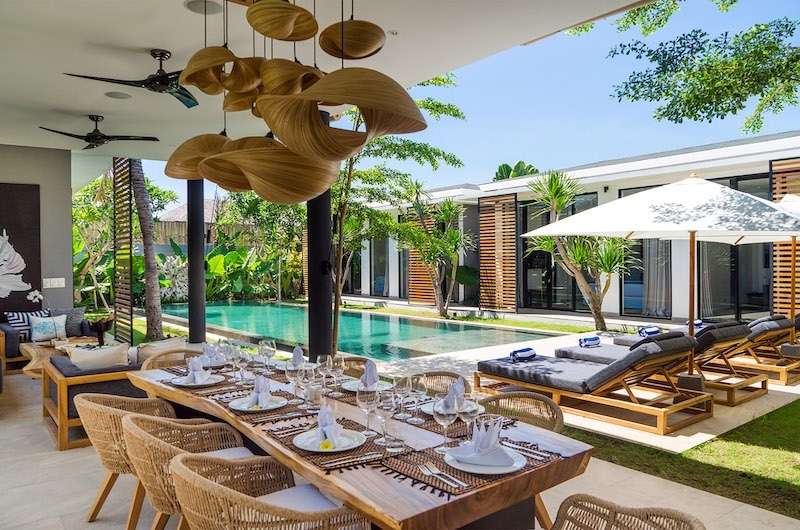 I love this complex of 3 villas as you have 12 bedrooms between the three villas so great for families travelling together or groups of friends. 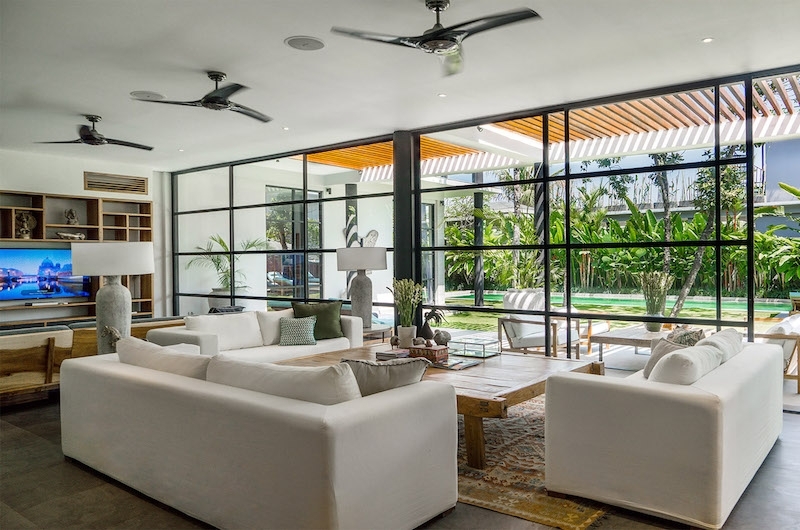 They are not interconnecting via the pool or internally but have a private entrance where all 3 properties can be accessed from and no other villas are in the complex. Fast WiFi is always a bonus and Bali has come a long way in recent years. We had access to around 20mbps so that was perfect for our group of 8. The villas have a wonderful team of staff who are on hand to help during your stay. Plus 24 hour butler service so you are always well looked after.